Tajikistan and Uzbekistan prepare to resume bilateral air service that was interrupted in 1992 with the beginning of civil war in Tajikistan. This clause was a part of a memorandum on cooperation signed by the aviation authorities of the two countries on 30 November. Initially the flights are planned to be resumed only on Dushanbe – Tashkent route. The air line will become active in January 2017, Khovar agency reports quoting Yusuf Rakhmon, chief of Civil Aviation Department of Tajik Ministry of Transport. According to the memorandum, the flights between the two capitals are expected to be performed twice a week. 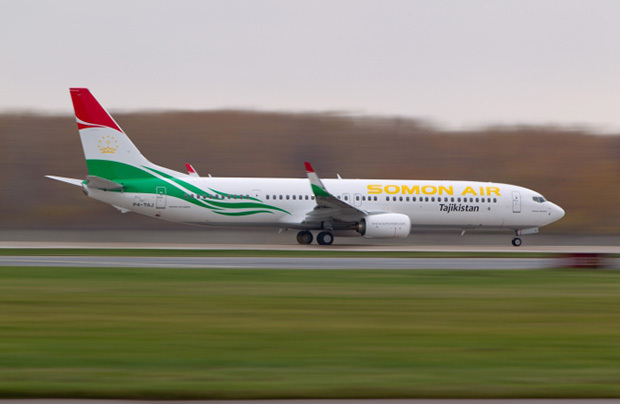 Somon Air will carry out the flights on behalf of Tajikistan and Uzbekistan Airways on behalf of Uzbekistan. During the bilateral talks the aviation authorities also discussed legal, organizational and economic aspects of further cooperation in the field of aviation, including possible flight geography, frequency and their profitability. The possibility of connecting other cities of Tajikistan and Uzbekistan in the future is not ruled out. According to the Uzbek Foreign Ministry the first charter flight to Dushanbe carrying Uzbek aviation authorities delegation was performed by Uzbekistan Airways on November 30. Beside the talks with Tajik colleagues, the delegation acquainted with the Tajikistan capital city airport operation and its readiness to serve different types of aircraft.